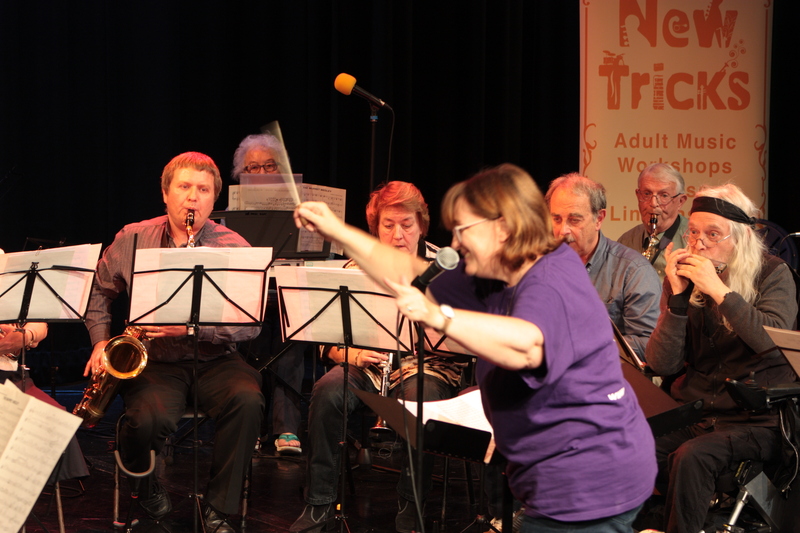 Since our first New Tricks Older Adult music sessions took place in July 2016, we have seen a huge range of inspiring and fantastic stories begin to emerge from both participants and our Music Facilitators. 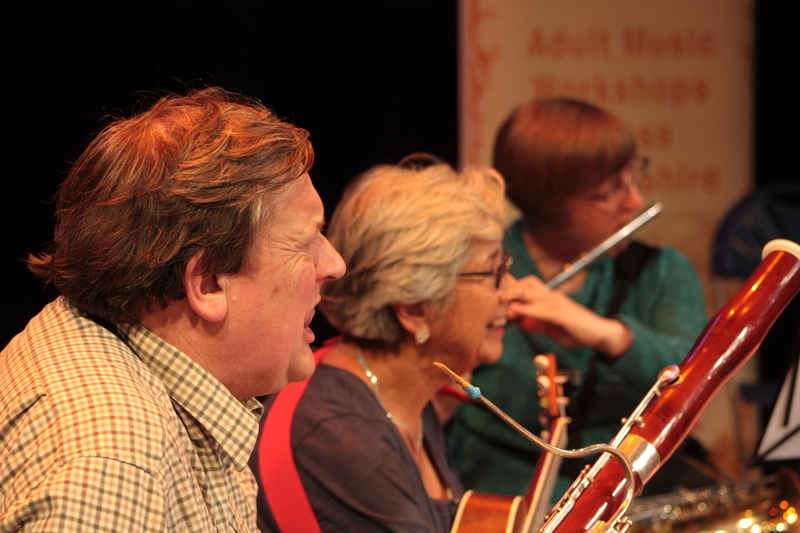 These track everything from huge musical development and growth in confidence, to notable health and wellbeing benefits alongside social progression. 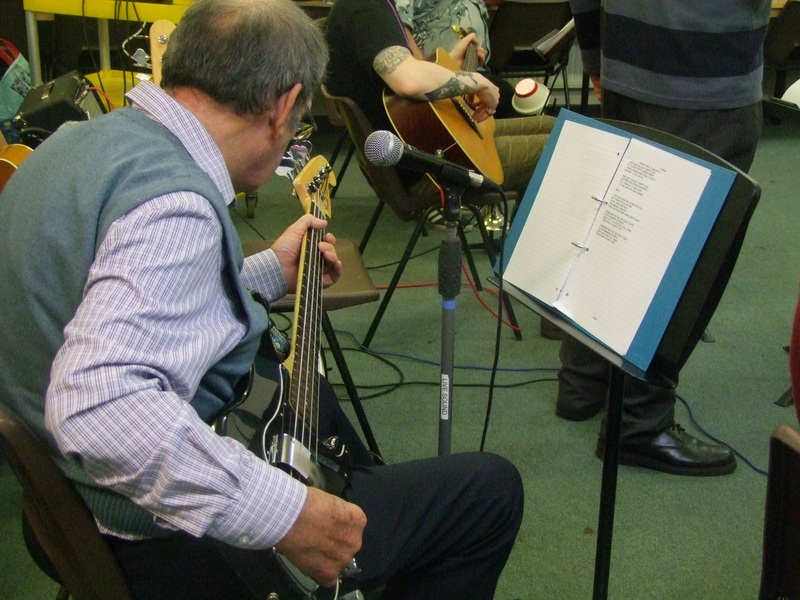 Cliff first became part of the New Tricks programme as a regular participant at two of the groups, Rhythm and Blues in North Hykeham and the Folk with a Twist group in Grantham. He immediately engaged with the mantra and spirit of the groups, stating how much he enjoyed seeing other members in their early musical journey or reigniting their passion for making music together. He took a keen interest in the styles and differing approaches of the two Music Facilitators who were working with the groups, Jonny and Crauford, and the manner in which they engaged with and utilised the skills of the participants to help make the group as prepared and welcoming as possible. 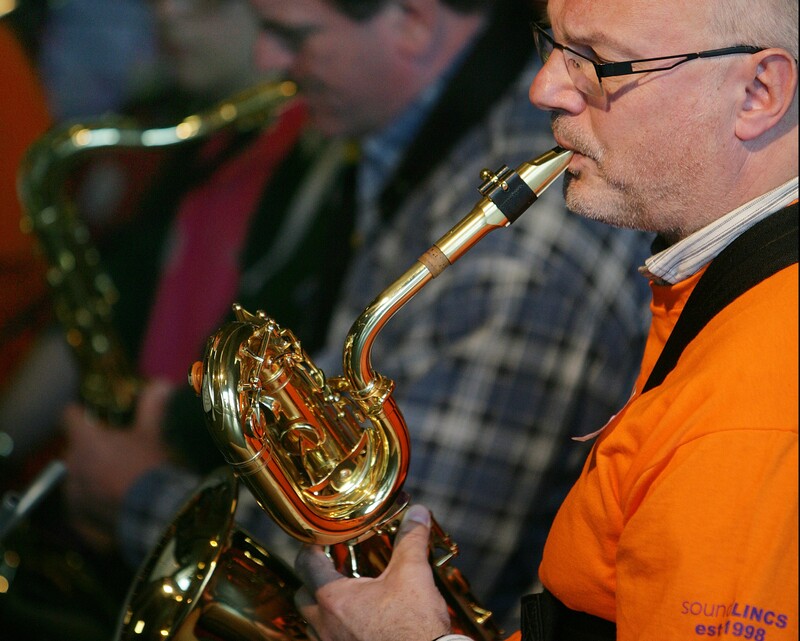 With this inspiration Cliff soon realised that his abilities would help him to facilitate a similar group to those he was attending and was excited by the prospect of sharing his extensive knowledge and helping participants with their musical progression. 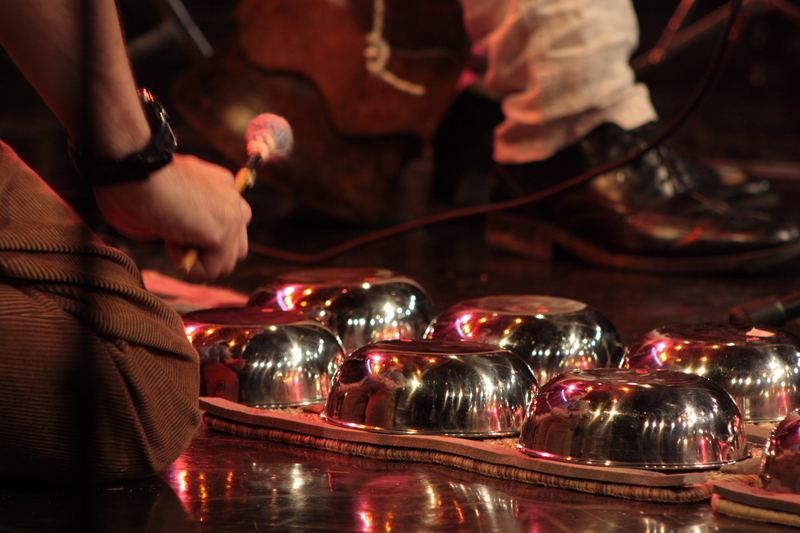 With this in mind, he chatted to soundLINCS to see if they thought he would be suitable as a Music Facilitator. Cliff undertook the training and induction in line with the Company’s safeguarding and recruitment policies, joining the Company as a soundLINCS Music Facilitator and was soon scheduled to start two New Tricks sessions of his own; an Instrumental session in Mablethorpe and a Ukulele group taking place in Grimsby. As the sessions began Cliff was excited to get started but had some apprehension about whether he would have the confidence or personality to be able to host and run a session. He quickly found however, that his passion for sharing his musical ability and his love of seeing the results that this brought to the participants has given him a new wave of confidence, and seen fantastic feedback from group members impressed with how enjoyable the sessions are, balanced with the progress that they are making. Having come from a manufacturing background, Cliff has taken to many aspects of workshopping like a natural, noting the large number of transferrable skills such as the challenge, variety, creativity, and need for deadlines. In addition to this though he has strongly bought into the ‘ethos’ of both New Tricks and soundLINCS, truly understanding the social benefit of the programme and appreciating how it can be a catalyst to development and integration, leading to improved wellbeing. Cliff has loved being part of the project, claiming to regularly having to remind himself that this a job and not just “a holiday with a healthy music schedule around me”. His passion for progression is clear and he is already having thoughts and ideas as to his ongoing growth and what genres and workshops he can explore next. Having hosted a promotional event in the City of Lincoln, his journey continues in August where he will be starting two brand new sessions in Gainsborough, with Instrumental and Rhythm and Blues focuses respectively. Gordon is a participant in his early 80s who was one of the first people to engage with the Rhythm and Blues group at The Terry O’Toole Theatre. He had started playing Bass at an early age and gone on to play with an array of high-profile bands such as The Who and The Moody Blues throughout the 1960s and 1970s. This continued until the day of his 70th birthday when he considered that it was time for him to retire from playing due to a loss of passion and excitement for the experience, leading him to lock his Bass and Amp in a cupboard under his stairs. Upon seeing a poster for New Tricks in his hometown, the opportunity to explore the instrument again after a sabbatical of around 15 years really appealed to Gordon, especially in the low pressure, friendly and casual environment the session offered. Since then he has been a stalwart of the group for the past year, always being happy to help others develop their skills, oversee learning of new songs and even going round local shops with posters and flyers to help the group to grow and sustain. Peter had spent his professional life living in Manchester as a musician and had relocated to Lincoln for retirement three years ago. 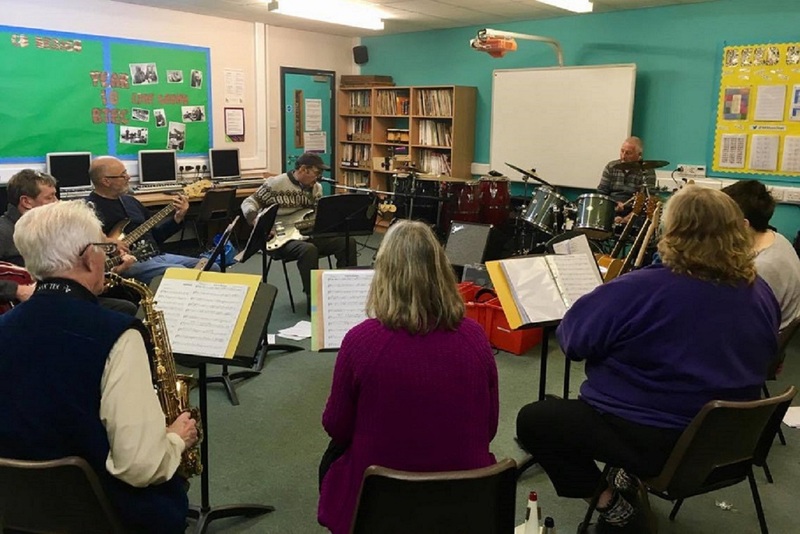 Since returning to the County he had spent a lot of time trying to find a way to maintain his passion for blues and jazz whilst socialising with like-minded people to build a community in the area. After months of attending open band practices, performing and spectating at open mic nights and sending out posts on social media and bulletin boards to try and find an environment that suited him, he had about given up hope of being able to re-engage with the genre. He was immediately excited upon seeing the advert for the Rhythm and Blues sessions and was delighted with what he described as a “friendly but focused group”, which gave him the opportunity not only to hone his skills and make new friends, but also to share his expertise and establish himself as a mentor. 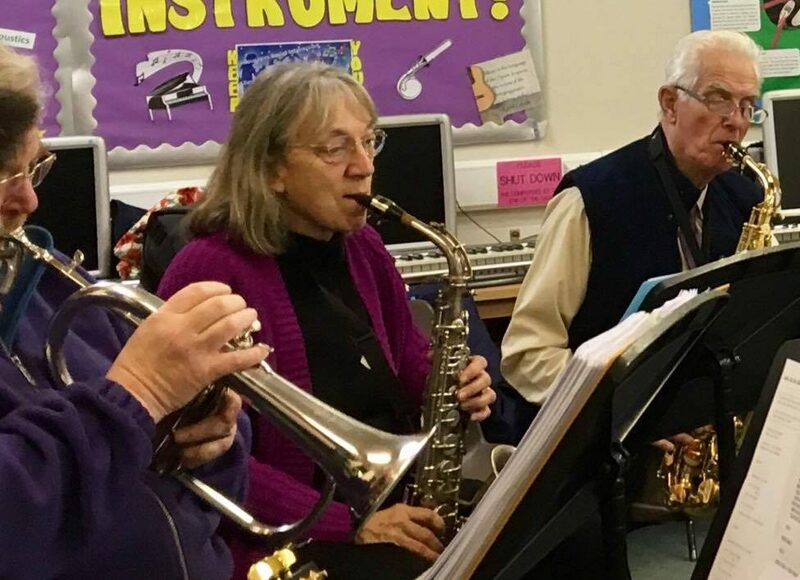 Melody was thinking of selling her saxophone when she went along to her first New Tricks Taster Session in Gainsborough, having barely had the opportunity or confidence to play it since purchasing it a few years before. She immediately fed back that she was finding the sessions “marvellous” and that they had “rejuvenated her enthusiasm to get out to play with others.” Melody suffered from quite severe anxiety when it came to performing and putting herself out there, saying in her own words that she “had convinced myself that an overweight, never been the pretty one, over 50’s female, would never get taken seriously”. The sessions really fired up her proactivity and desire to network with other budding musicians, whilst taking part in jam sessions convinced her that she would be welcomed in by like-minded people, regardless of her experience. With this in mind she decided to look on the website Join My Band, and against all her expectations decided to apply to become the lead singer of several bands in the Gainsborough area. She attended an audition and within a fortnight found herself leading a gig at a local venue. She says she has since had the confidence to find ways to work saxophone into performances as well as vocals, and credits New Tricks and soundLINCS’ Music Facilitator Jonny as providing a vital springboard for her self-belief. One Participant was about 70 years of age and had played many years ago, before giving up when work commitments meant that he had less time available. A couple of months before attending the workshop his wife had sadly passed away, which had shook him much more than he anticipated and had left him devastated. He decided that taking up playing again would possibly be a way to keep him “distracted” and divert his mind onto different things. 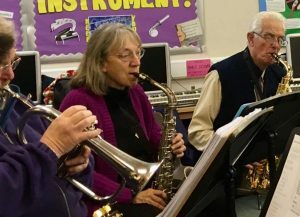 He really enjoyed the taster sessions and went on to become a full member of the band, fitting in well with all of the age groups and always being happy to help out others. 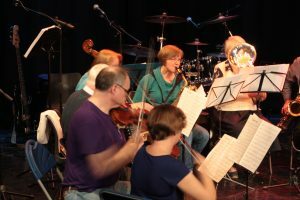 He also joins them on their promotional days to promote the benefits of playing music as part of a group for people who have a spousal bereavement. Pete has been an integral member of The Terry O’Toole Theatre Rhythm and Blues group in the year since it began. He is a Bass player and had suffered a major stroke twelve years ago that had massively impacted his short term memory, also causing him to be a slow speaker which affected his confidence in public. 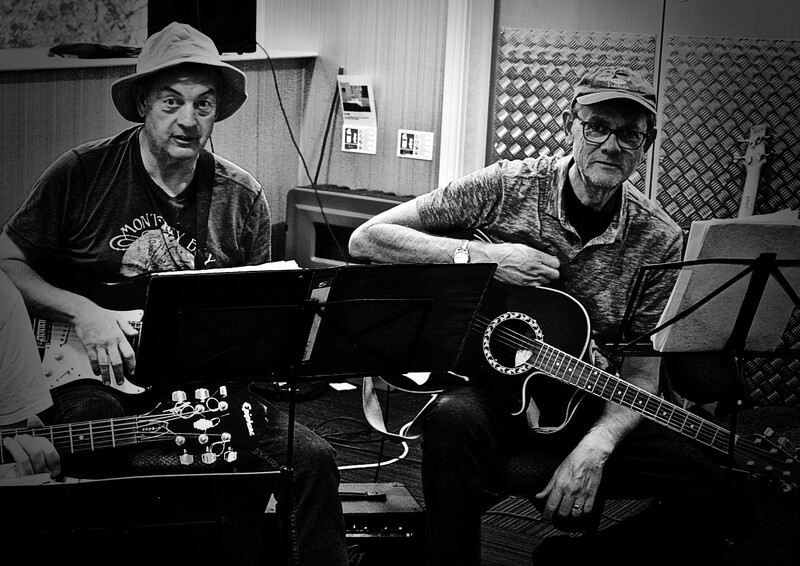 Soon after joining the group he commented many times on how much he was progressing and that he was really enjoying the advice and help he was receiving not only from Jonny (soundLINCS Music Facilitator) but the other members of the group. He began to practice regularly at home and said that the structure and techniques of rehearsal helped greatly with his memory. With an increase in his confidence and feeling like a major part of the group, he made the suggestion that they should learn the song Puppy Love, with Pete on lead vocals, something he had never previously shown an interest in doing. He explained that the song was of special significance between him and his wife and he wanted to record them performing it as an Anniversary present for her. The group were all delighted to take part in this and the video can be seen here. One participant at the sessions in Mablethorpe is a talented vocalist who suffers from throat cancer. During his recovery he has attended five sessions which has enabled him to continue to sing without having the pressure or need for over-exertion that performing would risk. The sessions have given him confidence to continue with his singing, which he was previously resigning himself to having to give up, and has come far enough on his recovery that he is now able to go back to work. Sadly as a result of going back to work he is no longer able to attend the sessions, however he attributes them with playing a crucial role in his recovery, and helping him to find his voice again. If you would like to take part in a New Tricks session or find out more about the project, please visit www.soundlincs.org/project/new-tricks for more details. New Tricks is funded by Arts Council England and the Postcode Community Trust.